The magnificent, luxurious Senteisai festival reminds spectators of the Taira clan, which was overthrown in the battle of Dan-no-ura during the Genpei War. The countless warships streaming the red and white banners of the Genji and Heike clans together with their armor-clad warriors are recreated in the Genji-Heike Naval Battle. The Hatchohama dance recalls the story of Okame who was sacrificed to calm the strait and enable Shimonoseki’s prosperity. 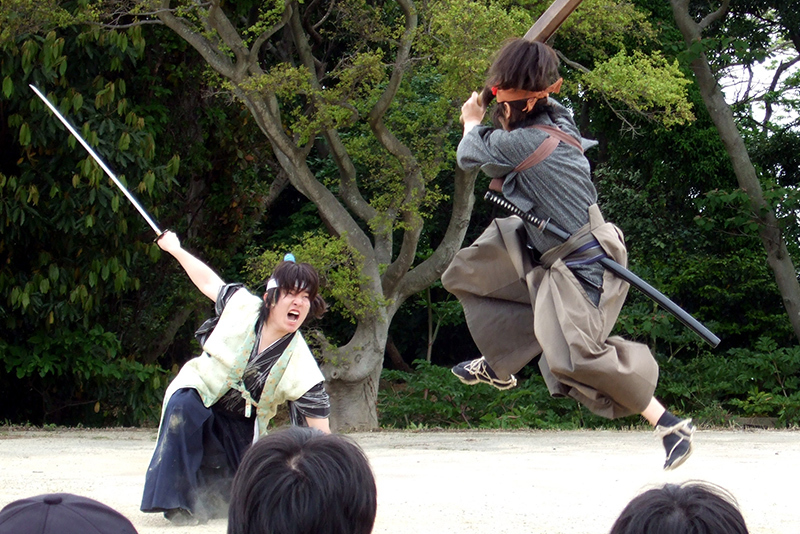 The Ganryujima Festival includes concerts and reenactments of the duel between Miyamoto Musashi and Sasaki Kojiro. 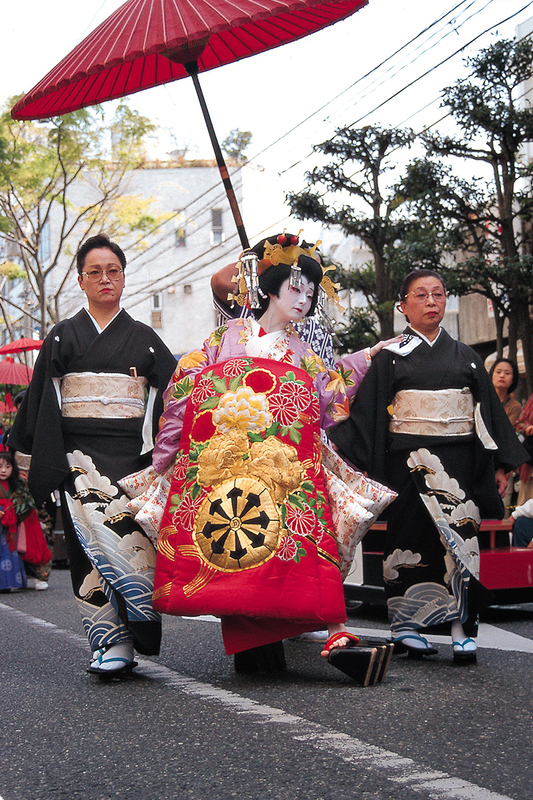 The Emperor Antoku Formal Dress Worship reproduces the Taira family’s court ladies and warriors. 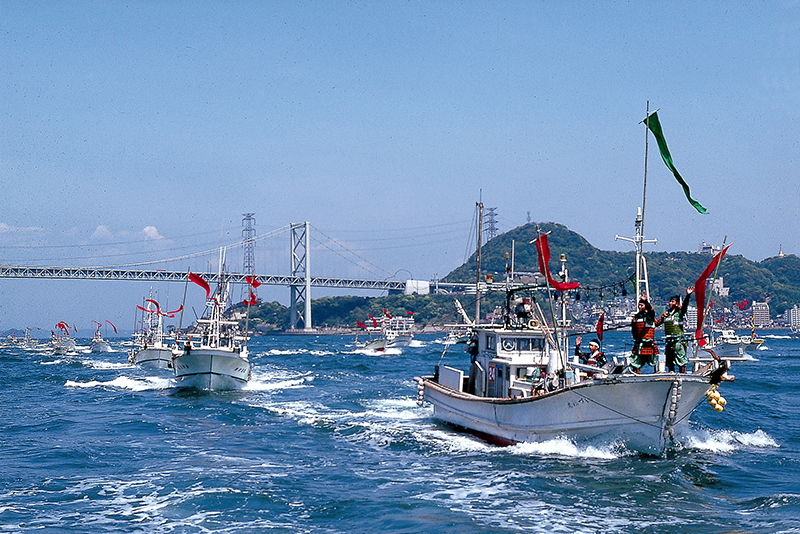 These colorful, lively events are repeated all along the Kanmon Strait. 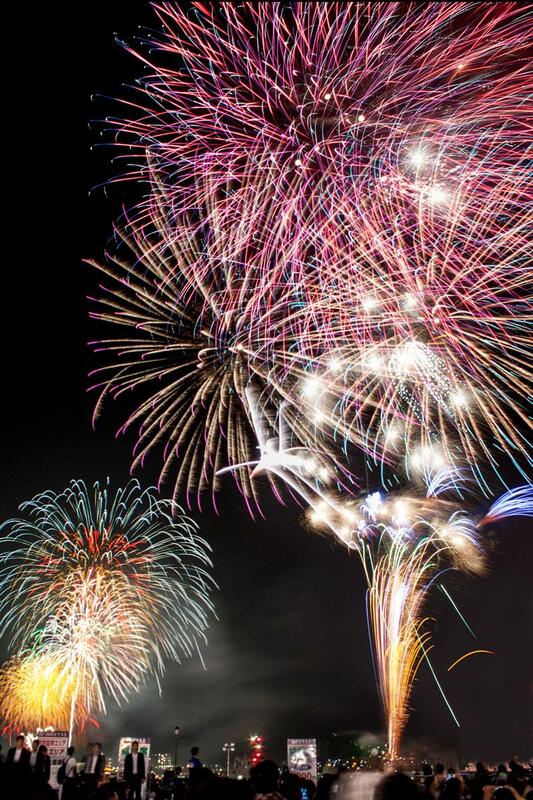 This is one of western Japan’s biggest fireworks performances—an event in which over 13,000 fireworks in total are launched from both shores of Kanmon Strait. This is the biggest summer event at the Strait. This is a unique festival known as Tenka no Kisai. 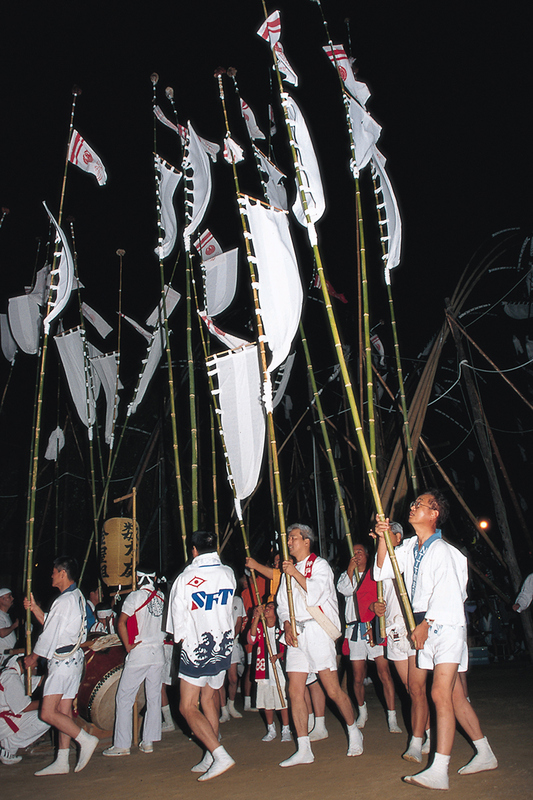 Participants dance in time to taiko drums and gongs while holding lanterns and streaming banners 20 meters long. 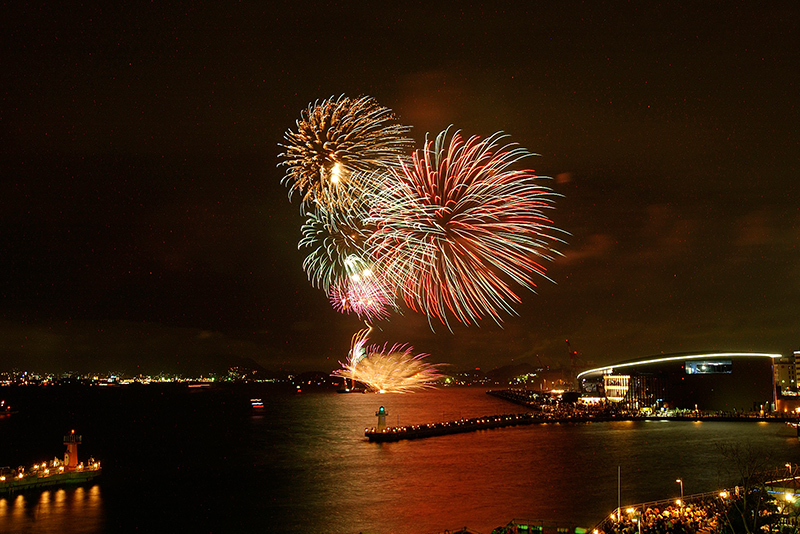 This is a summer festival in which the citizens of Shimonoseki participate. 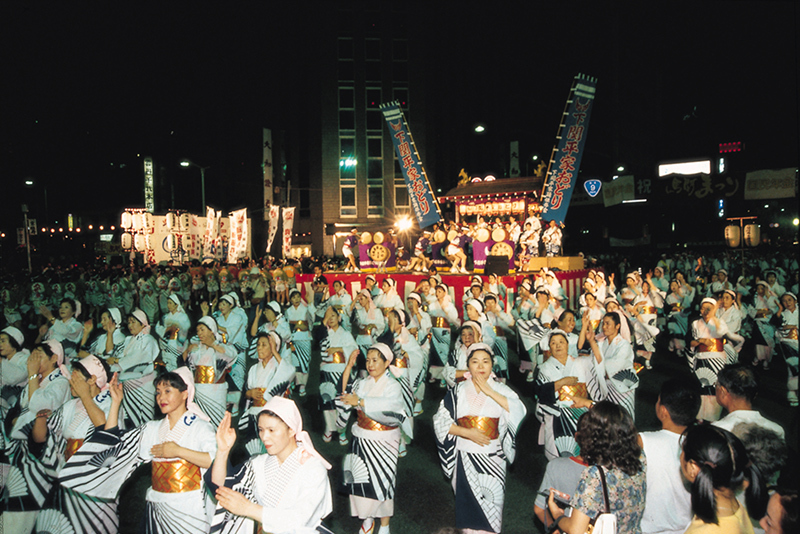 Numerous night stalls are set up at the main festival site at Kanmon Yume Hiroba, and the entire city throngs to experience this event entered around song and dance. The highlight is the Heike dance on the final day, in which some 4,000 dancers take part.